WinKeyer1 was the first generation WK IC and was introduced about five years ago. It is in a small 8 pin package and first was implemented in the Winkeyer1 serial kit. Several OEMs use the WK1 I.C. and that is what attracted Contest and Logging applications to write interfaces to Winkey. Currently we do not offer a kit that uses the WK1 IC, we have moved over to the WK2 IC which is a second generation version with many new features and improvements. We do still offer the WK1 I.C. for those who want to build up their own Winkey1 device or to replace a damaged one. Download datasheets and other information about Winkey1 from the menu on the left. 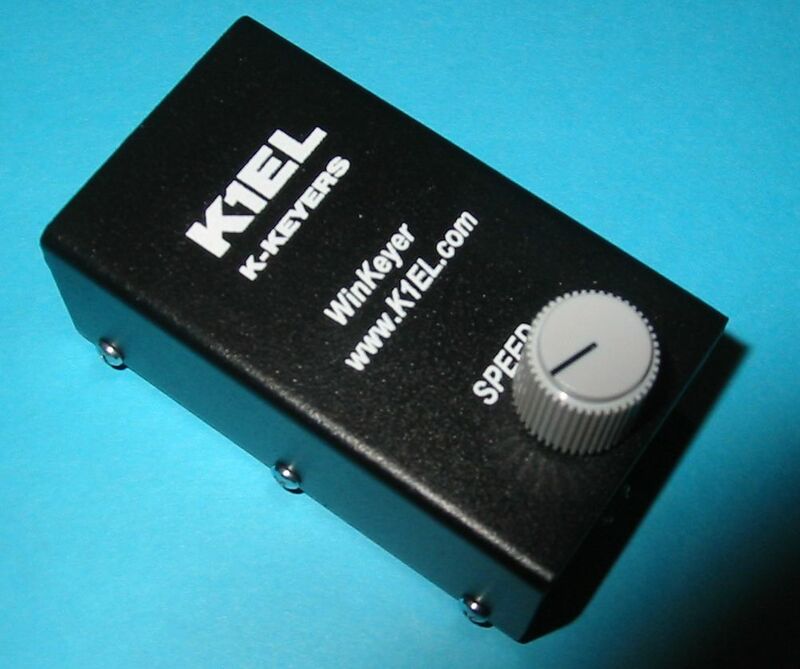 The original Winkeyer1 Enclosure which is no longer for sale.